Traveling is one of my favorite things, my very special, very favorite things in the whole world. But travel has its ups and downs. Air travel usually means heading somewhere exciting, but just thinking about getting through security makes me break out in a sweat. I’m getting better at the whole process, but almost always something goes wrong; last time I flew from LA —> SLC my Cookie Butter was confiscated by the T.S.A.. It was all very traumatic. The T.S.A. needs to get their own Cookie Butter from Trader Joe’s from now on and leave my stash alone. Anyhoo. We were talking about traveling. And how wonderful it is, T.S.A. aside. One of the things I’ve gotten better at in my travels across the globe, is how I organize all my gear. I’ve gotten much better at traveling with less, WAY LESS, than I once did. And part of all that organizing and gear wrangling means getting smarter with the kind of products I take with me on my travels. Having the right tool for the right job doesn’t only apply to garage tool stashes and construction sites, it also applies to wrangling toiletries and makeup, and heaven help us all, yes jewelry. Of course I want to travel with stylish accessories because, well, who doesn’t? Stylish, extremely well-made accessories for traveling? Sign me up, coach. 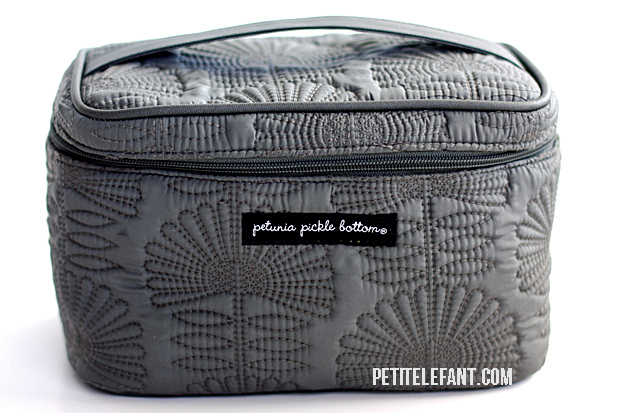 Petunia Pickle Bottom maker of the holy grail of diaper bags, sent over a travel train case + “powder room case” (aka makeup-case) for me to take on my travels and I’m 100% sold. These cases are worth every shiny penny for the terrific job they do under duress. I can pack all the make-up I can dream of for a month-long trip and still have room on top for both my 7-day pill cases stacked on top of one another. There’s a zipper compartment on the inside as well as the outside in which I store special things like poky tweezers for those pesky chin hairs as well as small, loose pieces of jewelry. It’s the perfect size. If I pack my train case just right, there’s plenty of room in which to stuff my makeup case. It doesn’t always happen, but when it does it’s glorious. Which brings us to the traveling train case. 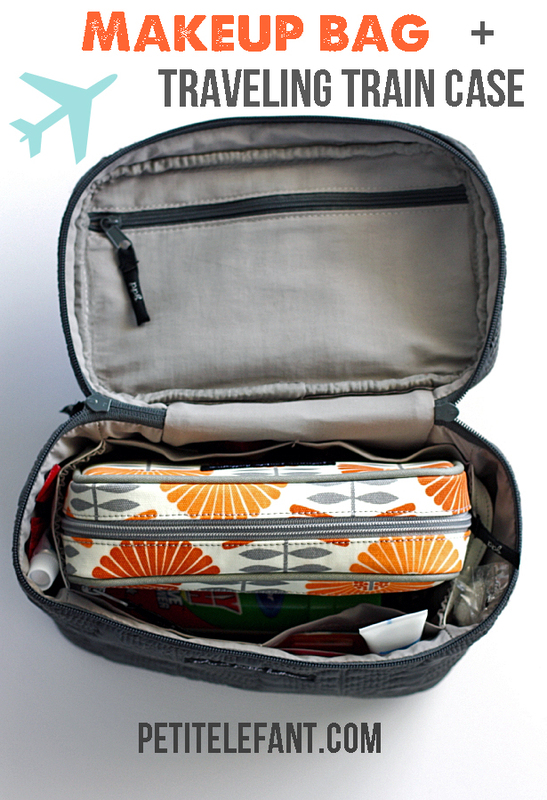 This train case is my new best friend, (I really should stock up in case they decide to go somewhere) because it’s the perfect size, with all the perfect little zippers and spots for tucking all the things. In-between trips I leave the train case as it is in this photo, with the basics replenished after each trip. I always have: powdered Tums (some foreign foods are murder on my stomach), earplugs, sleep mask, travel toothpaste, toothbrush, hand sanitizer, plastic shower cap (shut up), travel lotion, Spray ‘n Wash stain stick, Q-tips and dental floss. 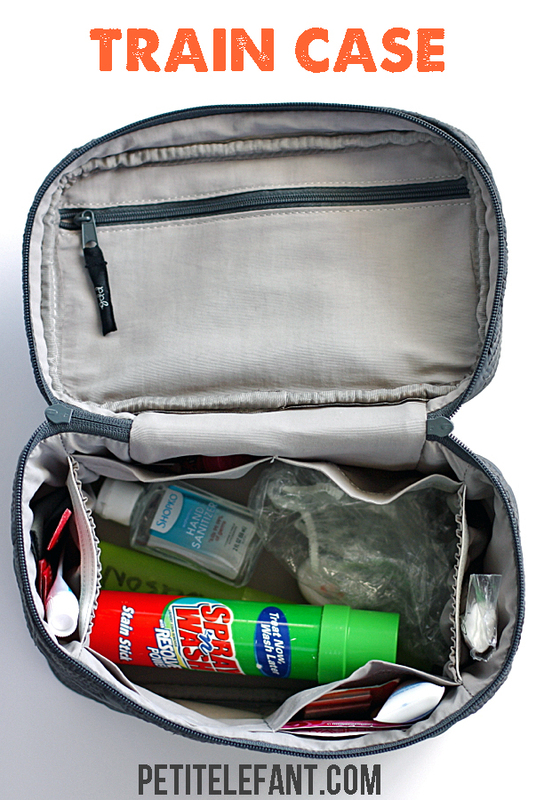 Then when it’s time to pack for a trip I just fill with what I need, shampoo/conditioner, body wash, meds, etc. and I’m ready to go. I pack the train case (and makeup bag when it doesn’t fit in the train case) at the top of my carry-on (never, ever, EVER pack it in checked luggage), pull the whole train case out in the security line, and boom, I’m ready to roll. 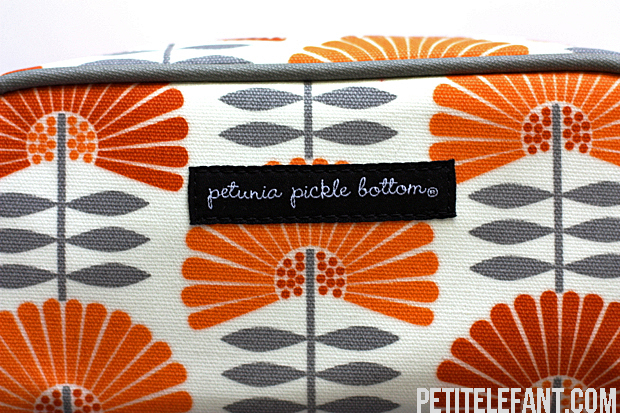 The next time you’re getting ready to do some traveling across the globe and you want to be stylish, as well as practical, you should probably look into grabbing these Petunia Pickle Bottom cases. 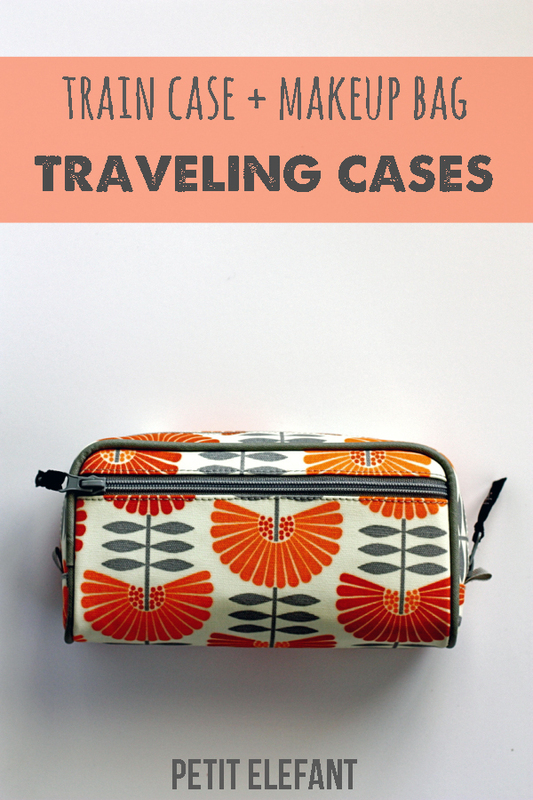 Traveling stylishly? Absolutely. this may be a silly question, but does putting the train case on the security belt work? doesn’t it all have to fit in the quart size ziploc baggie? that “3-1-1” rule is the bane of my beauty/travel issues. I have the same concern as Erica. Doesn’t this violate the 3-1-1 rule for carry-ons? What’s your experience with that?